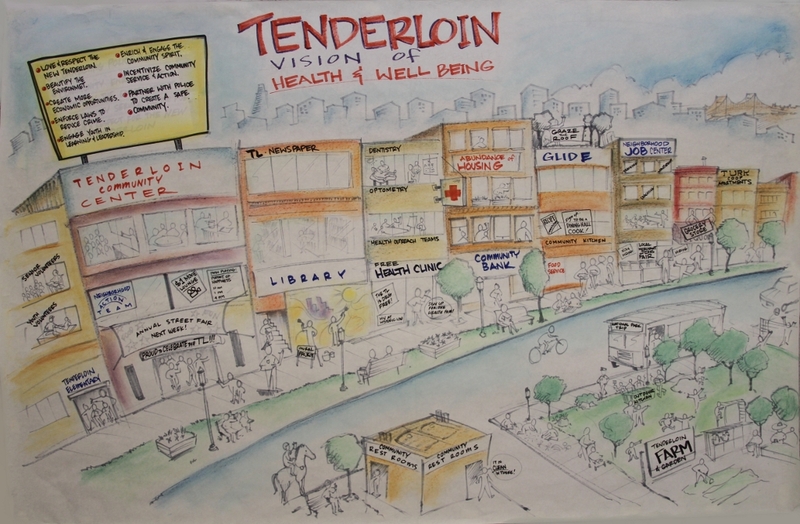 I gave the following opening welcome at the San Francisco Community Health Improvement Planning (CHIP) Strategy Meeting on August 28, 2012, at the historic San Francisco Women’s Building. 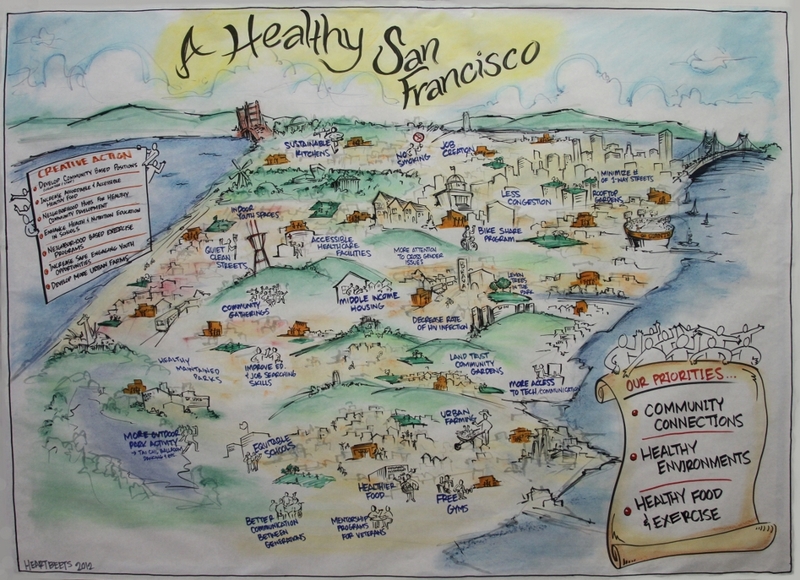 Welcome to the San Francisco Community Health Improvement Planning (CHIP) Strategy Meeting. We will affectionately call this CHIP. My name is Tomás Aragón — I am the Health Officer of the City and County of San Francisco. I am especially proud to open this meeting because I was born, raised, and live in this amazing City! Today we have brought together stakeholders from across the city to strategize on how to improve the health of our communities. This is the culmination of the collective work of many people — many who are in this room — who deeply care about not just improving health but achieving health equity. We have folks from all walks of life and all communities. We have have been working for months gathering and reviewing data, talking to health experts, and outreaching and listening to the voices of our diverse communities. It is fitting that we are meeting today in this historic Women’s Building. In 1971, a group of visionary women founded the San Francisco’s Women’s Centers. They bought this building in 1979 and have sponsored so many emerging community organizations over the years. My family personally benefited. I was raised in this very Mission District! My parents immigrated from Nicaragua in the 1950s and settled not far from here. My mother ended up raising four children by herself. She had only completed a 6th grade education in Nicaragua, so she worked as a seamstress in local sweatshops. In 1994 she died of lung cancer, we believe, from asbestos exposures working in these sweatshops combined with exposure to second hand smoke. In the years before her cancer diagnosis she was actively engaged with numerous community-based organizations for seniors. She was so proud how fit she had become exercising regularly at the On Lok Senior Center. She spent many days staying connected to the Central American community, especially nicaragüenses, in the Mission. She was excited about having healthy meals and staying connected to friends at Centro Latino on 15th Street. She was thriving on the dimension of well-being we call “social connectedness,” which — science tells us — keeps us healthy. 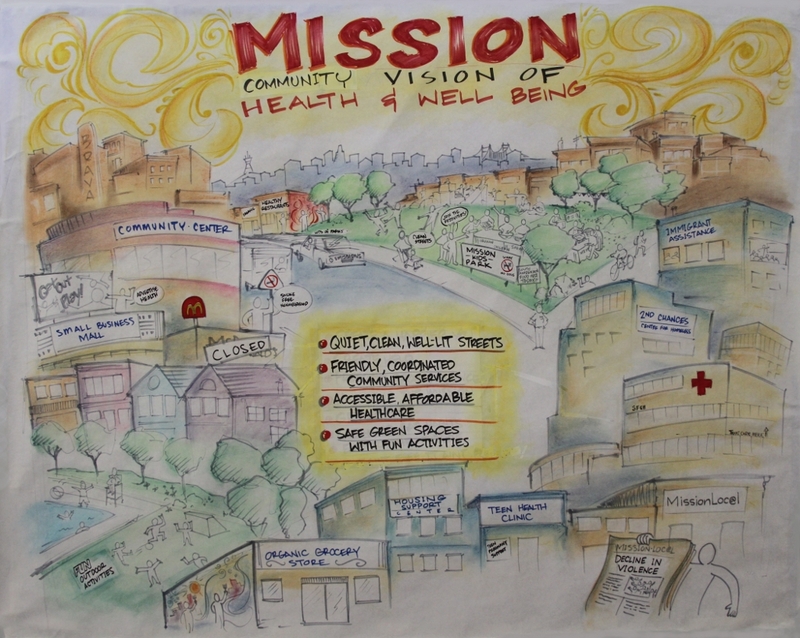 We know — and the World Health Organization reminds us — that health is not merely the absence of disease, but “a state of complete physical, mental and social well-being.” That is why we are here today to implement a collective vision of health and well-being for San Francisco. We have three themes and one big idea or concept. You can remember the three themes with the acronym A-C-E or ACE. 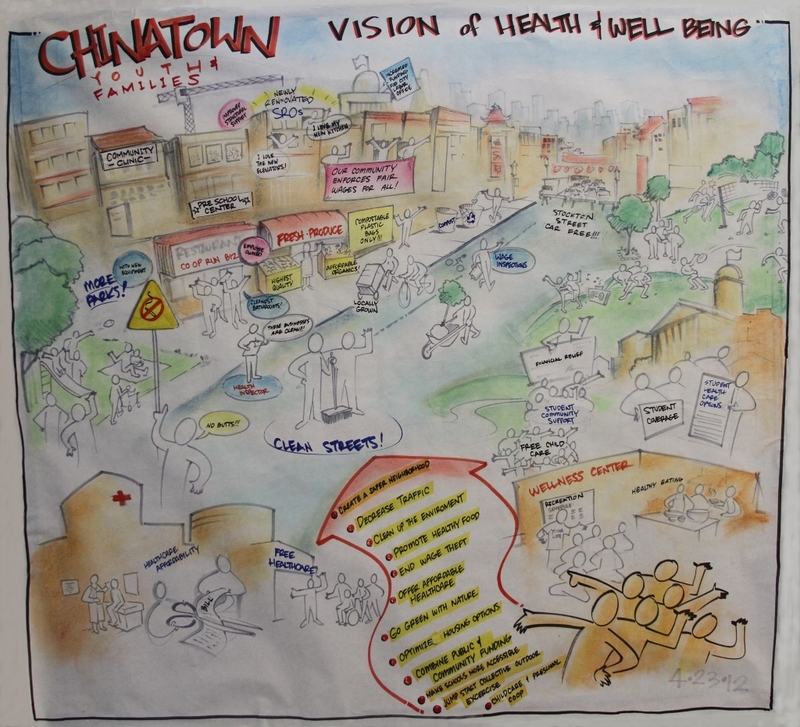 Common agenda or shared vision — we do! Shared measurement — to monitor movement and stay on course — we will! Mutually reinforcing strategies — we will after today! Continuous communication — we will continue! Backbone support — that’s all of us! — all the individuals, and organizations represented here today! It is not about money or funding! 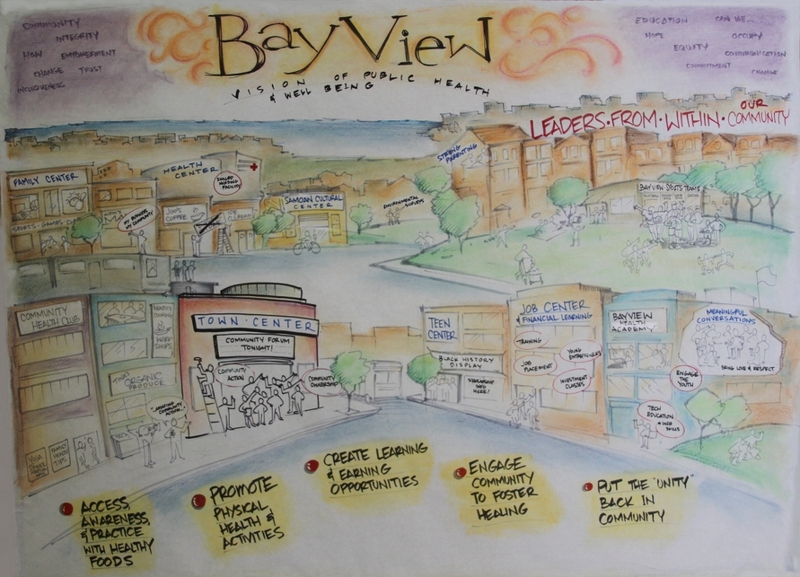 If we commit to improving health using the resources we control or can influence — COLLECTIVELY — WE WILL HAVE AN IMPACT! Again — welcome and thank you!! !